Welcome to our February 2019 Leadership Hotline, highlighting recent and upcoming activities for Optimist leaders and Club Members! 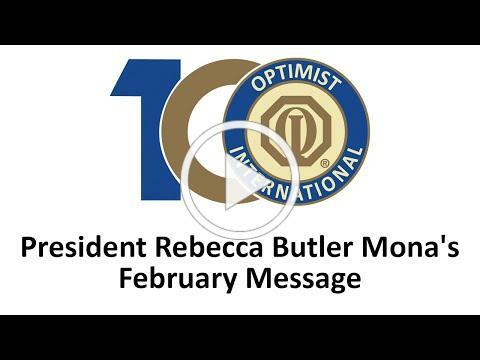 In this month's video, President Rebecca Butler Mona sends a message from the President's Midyear Conference in St. Louis, giving an update on Optimist's goals for the year and more. On behalf of the Optimist International Board of Directors, President Rebecca Butler Mona has announced that Philip Turner will fulfill the remaining 2018-19 term as Vice President for the St. Lawrence Region, undertaking the role following the passing of Regional Vice President Roch Daigle in January. Phil is a Past International Vice President who brings many years of leadership and motivation experience to the role. Like his longtime friend Roch, Phil is a true Optimist at heart, and will continue Roch’s excellent leadership and teamwork with Roch’s wife Julie and the St. Lawrence Region Optimist Governors and their teams. Join us in wishing Phil success, and expressing gratitude to Roch and Julie for their friendship and service to the Region and Optimist International. Members of Optimist International will celebrate Optimist Day throughout the world the first Thursday of every February to promote our efforts in bringing out the best in youth, our communities and ourselves. 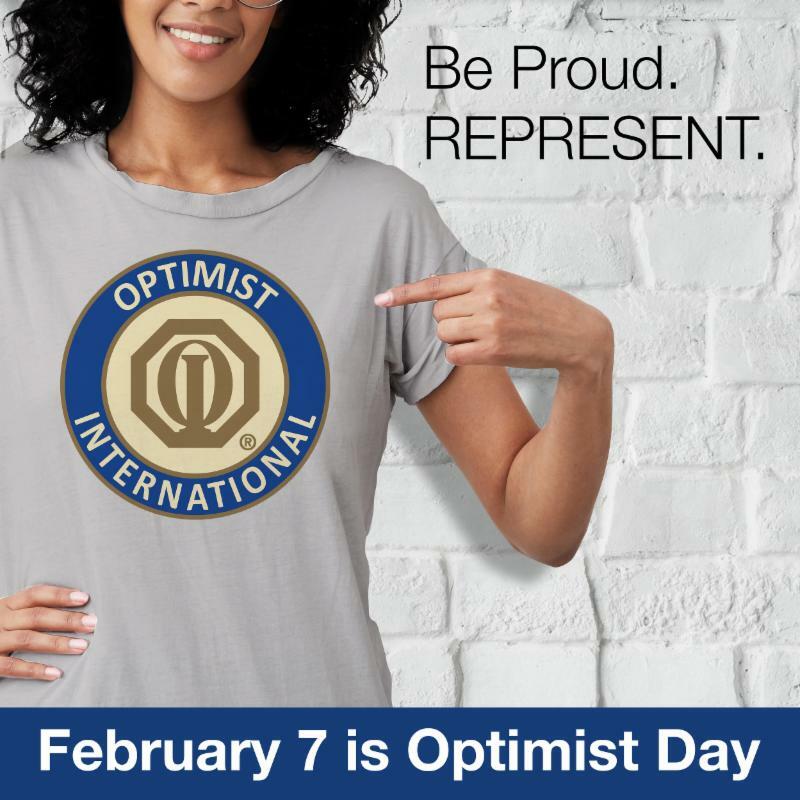 On Optimist Day, Optimists around the world are asked to wear Optimist attire - shirts, pins, hats, etc. Post your best Optimist attire on social media and tag Optimist International or use the #OptimistDay hashtag. Send your photos to marketing@optimist.org to be featured in future publications. Visit our Optimist Day web site for more information. to file a complete Form 990 or Form 990-EZ instead. Note: To be in Compliance with OI Policy C-11, all US Clubs are to submit a copy or acknowledgement of filing receipt, of their annual Tax Form 990 to Optimist International within 30 days of filing. 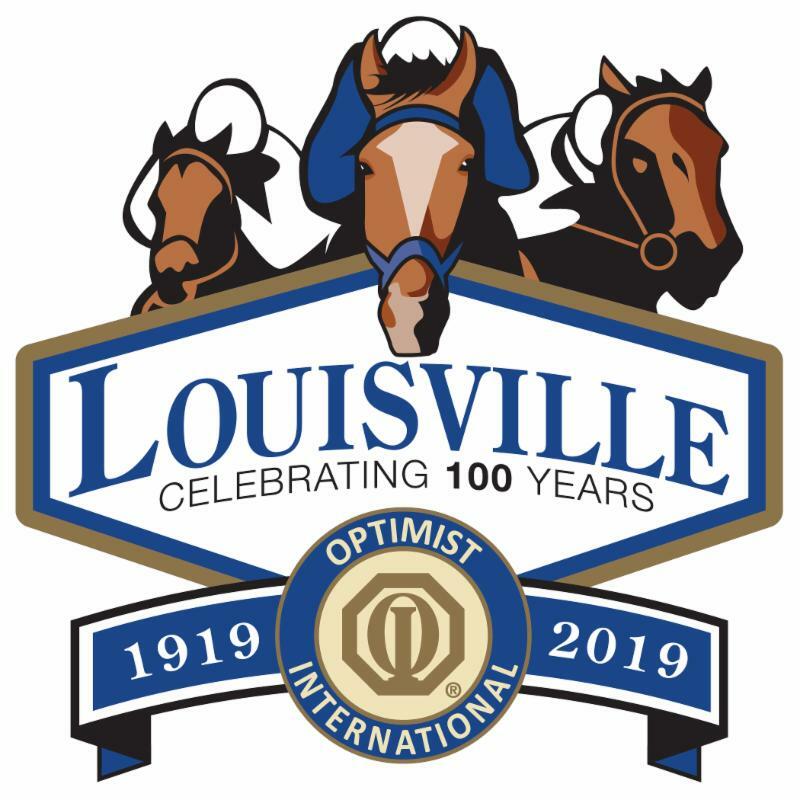 Meet your Optimist friends in Louisville, Kentucky next summer for the Annual Optimist International Convention and Centennial Celebration, Sunday, June 30 to Wednesday, July 3! Register online at www.optimist.org/convention . Visit here to book your room at the Galt House (Rooms are going quickly!). For questions or more information about the annual convention, contact convention@optimist.org . Don’t forget that any Clubs who have built a new adult Club and are net +5 at the end of the 2 nd quarter (March 31 st , 2019) qualify for $100 Convention registrations for ALL CLUB MEMBERS. This is less than half the regular price. Districts who have built 2 new adult Clubs and are net +15 at the end of the 2 nd quarter (March 31 st , 2019) qualify for $100 Convention registrations for ALL DISTRICT MEMBERS. This is less than half the regular price. The 2018-19 International Membership Committee is encouraging all Optimist Clubs to participate in “targeted recruitment” each month of this Optimist year. While all Members are valuable; this calendar will hopefully encourage Clubs to look for new Members in areas that they may not have thought of. February's group to recruit is: Healthcare Professionals. Many Healthcare Professionals are well connected within the community and may have keen insight into additional needs for children, making them a great addition to your Optimist Club. The 2019 Hugh Cranford All-Scholastic Team will be two special awards recognizing the academic and community service accomplishments of five junior golfers. Golfers can apply for one or both awards. Golfers selected receive an exemption into the 2019 Optimist Championship, tournament entry (includes golf, hotel accommodations and meals) and a $1,000 scholarship. Click here for deadline dates and how to apply. For more information about the Optimist Junior Golf program, click here . Optimist International Foundation is accepting applications for the 2019 Club Grant Program. Any Adult Club served by Optimist International Foundation is eligible to apply for a $500 grant to be used for a NEW project of the Club. Applications must be received in the St. Louis office by March 8. Applications and more information are available here . Be a part of the Centennial celebration. 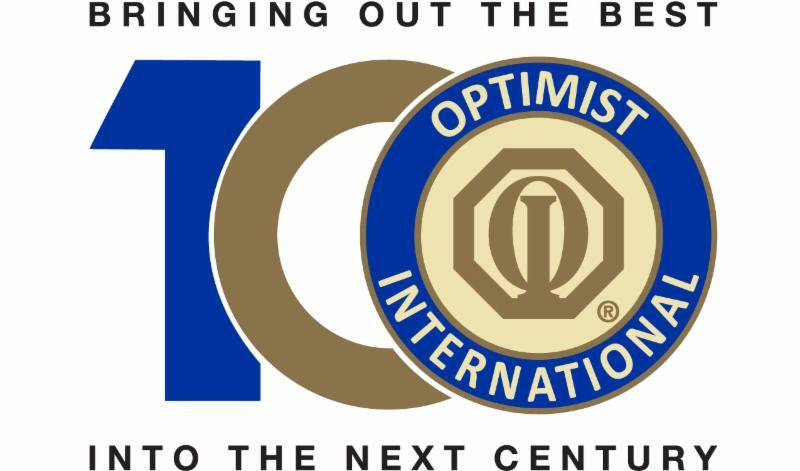 Make a donation to the CCOF, show Optimism, and get a chance to celebrate the 100th anniversary of the organization with us, at the Optimist International Convention in Louisville, Kentucky. Each club where 10% of the membership has given a minimum of a Dime-a-Day before March 31, will receive a ticket for a draw for a registration (appr’x $250 each) to the Optimist International Convention in Louisville, Kentucky, or to their own District Convention. Each club that has made a minimum donation of $100 before March 31, will receive a ticket for a draw for a registration (appr’x $250 each) to the Optimist International Convention in Louisville, Kentucky or to their own District Convention. Each club where 10% of the membership has contributed a minimum of a Dime-a-Day and whose total donation from the members and the club has reached $1,000.00 by March 31, will automatically receive a reimbursement of one (1) registration (appr’x $250 each) to the Optimist International Convention in Louisville, Kentucky or to their own District Convention. In order to improve the work we do and to know better the needs and wishes of our donors, the Canadian Children’s Optimist Foundation will send every Canadian Optimist member a survey by e-mail. You may expect it in a few days. Please, take a few minutes to respond to the survey. Who better to know how to help the members and thank our donors better than the members and donors themselves? For more information, contact Nadège at 1-800-363-7151 ext. 336 or by e-mail at info@ccof-foec.org. An International Development Ad Hoc Committee is working on a strategic initiative for future development and needs your help. The committee is asking for you to provide some guidance about where Optimist International could expand beyond North America and the Caribbean. If you have any leads, could you provide the name of the country or countries where you have friends, acquaintances, or business associates. The committee is not asking for contact information but just the name of the country. This will enable the committee to learn where the most people known to Optimists live and could lead to designating a country as a focus for international development. All you have to do is send an email to the International Development Ad Hoc Committee at newclub@optimist.org listing the name of the country or countries where you have connections and thank you for your help.